American players looking to get away to play the partypoker MILLIONS Online have a few great options. The partypoker MILLIONS Online tournament is arguably the most can’t-miss online poker event of the last decade. With a massive $20 million prize pool guarantee and plethora of satellite qualifiers, poker players around the world cannot wait for this one to go down, including players located in the United States. 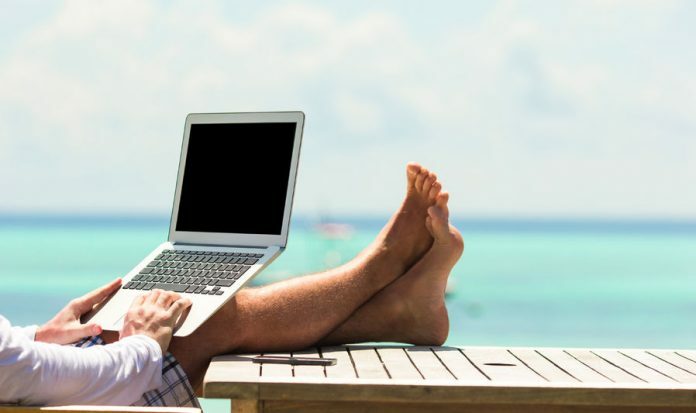 Although the global partypoker client is not currently accessible for play within the confines of the United States, there are plenty of locations within a short flight or drive for you to set up shop for a week or so while you grind the partypoker MILLIONS Online event. Many of the world’s top online poker players from the U.S. took to Vancouver as their home away from home for online poker play, such as Phil Galfond, Brian Hastings, and Jason Koon, just to name a few. Located just north of Washington state, Vancouver is a coastal city in British Columbia. It’s just under a three-hour drive from Seattle to Vancouver and a short flight from most major cities in the western U.S.
Vancouver is a very state-of-the-art, diverse city, with lively nightlife, good food, and, of course, good internet. A spot in Vancouver will likely be a little more pricey than some other destinations outside of the United States, but that could fit quite well for those looking to play a $5,300 buy-in online poker tournament with a $20 million prize pool guarantee. The one drawback to Vancouver would be the weather, or at least it could be. If you’ve ever been to Seattle, you know what we mean. Overcast skies and rainy days could become aplenty, but nothing an online poker grind and an umbrella can’t fix. Like Vancouver, Toronto will only take you a few hours to drive there from some of the larger U.S. cities located near it. Buffalo, NY, is two hours away by car, Detroit, MI, is four hours away, and Cleveland, OH, is about five hours from Toronto. There are also plenty of affordable flights available for those looking to head to Toronto from a little further away, and most major airports fly directly there. Also like Vancouver, Toronto is a big city where U.S. players won’t feel like they are no longer in their own country. It’s very modern and diverse, with good food, sights to see, lots to do, and entertaining nightlife. It’s also regarded as a good sports city. The Toronto Raptors are one of the NBA’s better teams, with home games on November 25, November 29, December 3, and December 5. The Toronto Maple Leafs of the NHL are a high-flying bunch with home games on November 24, November 26, and November 28. You’ll likely find Toronto to be a tad more affordable than Vancouver, but both are pretty equal, both in terms of cost and as great locations for a week of online poker grinding. A third popular option to the north for U.S. online poker players looking to travel to play the partypoker MILLIONS Online tournament is Montreal. Quebec has a very French-Canadian vibe to it and will likely make U.S. players feel more out of place than Vancouver and Toronto, but it’s a beautiful city that is equally elegant and modern. The people are very nice, internet quality is good, nightlife is fun, and it’s a more affordable option than Vancouver and Toronto. Montreal likely won’t be an option for you if you’re looking to drive, but flights are available from major U.S. cities for good prices and in high volume. If you’re looking to “get away” from the U.S. for the grind, Montreal will serve you better than Vancouver and Toronto. Mexico has a few options for U.S. players, and Playa del Carmen is right up there at the top. The environment and surrounding are stunning, and it will certainly be a bit warmer than heading up to Canada. There are several apartment complexes that offer high-quality living arrangements for affordable prices, and Playa del Carmen is a place where you can walk pretty much everywhere you need to go. Of course, the beaches are a huge draw for anyone heading to Playa del Carmen, including those who travel there for the online poker grind. If going to Mexico over Canada for the warmer weather and beachfront living had a tradeoff, then it’d be the internet quality. High-quality internet will require you to prepare yourself a little more than the major Canadian cities. Plan to secure a private connection that isn’t widely shared with the public. It also wouldn’t hurt to purchase an air card as a backup in case things go wrong. Ultimately, you should be fine, and plenty of online poker players reside in Playa del Carmen, but it can’t hurt to go the extra mile to make sure everything is in order. Whether it’s in the city of San Jose or beach locations such as Tamarindo or Jaco, Costa Rica is an awesome location to travel to for the online poker grind. There are many options in Costa Rica, so do your research and pick the best one that suits your desires. Internet quality has very much improved over recent years, but, like Mexico, you should prepare accordingly for this and it will be a good decision to have an air card as a backup option. The cost of living is low and there are plenty of rental options available. If you pick one of the beach destinations, it’s downright gorgeous. Furthermore, Costa Rica is known as one of the safer countries in the world.